Mark your calendar: Balboa Park's beloved holiday tradition, December Nights, returns this Friday and Saturday. December Nights has it all - from holiday lights and seasonal music to dancers and tasty winter treats. The free weekend festival returns for its 41st year with free admission to museums on Friday and Saturday from 5 p.m. to 9 p.m. This year, The Museum of Photographic Arts (MOPA) will introduce a new activity at the event: a photo scavenger hunt throughout the park that ends at the museum. To join, participants should follow the museum on Instagram (@MOPASD), take photos on their smartphones and post and tag those pictures. The list of photos to take include a dog in a costume, something sweet, festive lights and your family or friends doing something festive, to name a few. After completing the scavenger hunt list, participants can stop by the MOPA gift shop to collect a prize. 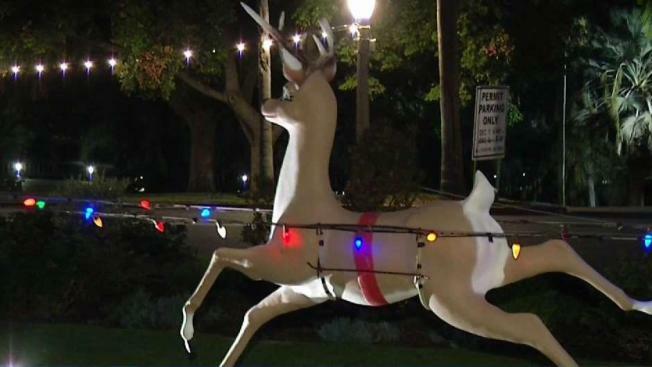 December Nights started in 1978 as part of "Christmas on the Prado" in Balboa Park, a small holiday celebration put together by a dozen institutions along El Prado. The crowds and event grew over the decades and, in 2002, it was renamed December Nights. Free shuttle rides to December Nights will also be offered. The shuttle location will be in downtown on Ash Street between 5th and 6th avenues. There are parking lots around this area and street parking is free after 6 p.m. The shuttle for Friday will run from 3 p.m. to 11 p.m. and on Saturday from 11:30 a.m. to 11 p.m. The last shuttle to the park will leave at 8:30 p.m. for both nights. You could also opt to take public transit to the event. The San Diego Metropolitan Transit System will offer its trolley and bus services around Balboa Park. You can purchase and store a $5 trolley and bus ticket on your smartphone using the MTS Compass Cloud app. MTS recommends taking the trolley to the Fifth Avenue Station and from there, take bus routes 3 or 120 to Balboa Park. For more information on how to get to the parks using the MTS system, visit their website. For more information on December Nights 2018, visit the event website.